Very Good. Billy Graham answers questions about heaven and eternity with understanding and reassurance. The Heaven Answer Book is a biblically based book written in Qand A format with answers to commonly asked questions about our future and final home. Sewn binding. Paper over boards. 179 p. Answer Book. New. 2012. Gift. Hardcover. Billy Graham answers questions about heaven and eternity with understanding and reassurance. 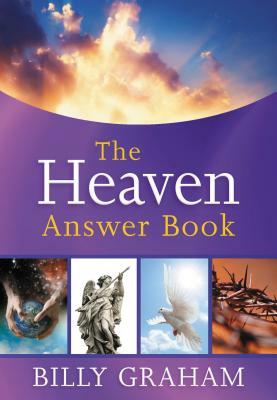 The Heaven Answer Book is a biblically based book written in Qand A format with answers to commonly asked questions about our future and final home. Num Pages: 192 pages. BIC Classification: HRCV9. Category: (G) General (US: Trade). Dimension: 163 x 118 x 15. Weight in Grams: 282......We ship daily from our Bookshop. New. Sewn binding. Paper over boards. 179 p. Answer Book.